Wayne Rooney celebrated his new deal with a fine goal as Manchester United overcame a spirited Crystal Palace side 2-0. All eyes were on the England striker a day after he agreed a lucrative contract extension, but Palace battled hard to keep United at bay and Marouane Fellaini squandered the one clear-cut chance of a cagey first half. 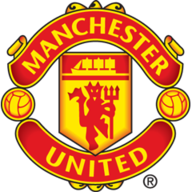 The breakthrough arrived just after the hour mark when Patrice Evra was brought down by Marouane Chamakh and Robin van Persie stepped up to score from the penalty spot. Rooney then showed expert technique to volley wonderfully into the top corner from Evra's left-wing cross on 68 minutes, as United sealed a crucial victory in their bid to reel in the top four. Striker Glenn Murray made his first Palace start in over nine months and almost had a dream return but he could not turn home a deep cross in the second minute as Chris Smalling applied pressure at the back post. The ever-lively Adnan Janujaz had the ball in the back of the net on 17 minutes as he arrowed home a Van Persie pass but the effort was rightly struck off by referee Michael Oliver after the teenager had controlled the ball with his arm. United were gradually starting to box Palace in without really creating any clear-cut chances to break the deadlock but it was Rooney who came close to changing that. The 28-year-old was held up taking a corner as a Palace fan threw a coin in his direction but, after the initial delivery found its way back to his feet, Rooney clipped the ball towards goal only to see Damien Delaney head off from under his own crossbar, with Nemanja Vidic nodding the follow-up over. Moments later it was Palace who came close for the first time as Jonathan Parr's header took a deflection off Smalling and forced David De Gea into his first save of the game. Chamakh was the next to force De Gea into action but the former Arsenal man could only give the United goalkeeper a simple save after heading Thomas Ince's cross into the ground. Fellaini was then guilty of a poor miss, bending a left-footed shot wide after originally linking up well with Van Persie. Rooney sent a free-kick wide in first-half stoppage time but Moyes would have been left frustrated once again at the interval as his side showed a lack of cutting edge in the final third. 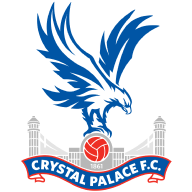 Palace started the second half with a string of corners as they looked to make their visitors pay for their lack of first-half spark. A chance finally materialised for Ince but he could only fire a difficult volley high over the crossbar before Jason Puncheon shot straight at De Gea moments later. United were then given a simple way into a largely undeserved lead as Chamakh was guilty of a misjudged challenge on Evra just inside the Palace box, with Oliver pointing to the spot and Van Persie sending Speroni the wrong way from the resulting penalty. The goal seemed to rouse United from their slumber as Rooney and Mata exchanged passes before picking out Fellaini, whose low effort was well held by Speroni. De Gea was also called upon shortly afterwards as Cameron Jerome, introduced moments before in place of Murray, curled a great effort towards goal which the Spaniard did well to push away. United's second again came courtesy of Evra, who skipped down the left flank before crossing low to a free Rooney who drove a crashing shot into the back of the net. Palace seemed to lose their defensive rigidity after conceding twice in six minutes and it almost got worse as Janujaz rolled in Van Persie, whose shot across Speroni came back off the crossbar. The Eagles fought to the last to grab a consolation but slipped to just their second home defeat since Tony Pulis was appointed in November.